Baby boomers who are still financially supporting their adult children (a group called boomerang kids) are increasingly finding that doing so is keeping them from reaching retirement, a new study shows. In fact, only 21% of baby boomers who support their adult children are retired — compared with 52% of boomer households whose adult children are financially independent, according to Hearts & Wallets’ recent survey, comprised of more than 30,000 household interviews. Not only is it impacting when boomers are retiring, but also how much they can save before retiring. “It’s causing a financial drag on those individuals who are saving for retirement,” says Kevin McGarry, director of the Nationwide Financial Retirement Institute, noting that the cohort’s peak earning years are between ages 50 and 65. “Those kids who are moving back home are now becoming a financial drain from the standpoint of what the savings rate can be for those [parents’ retirement]. How Many Households Have an Adult Child Living at Home? Whether due to student loan debt, a less than fruitful job hunt or economic conditions, twenty- and thirty-somethings are moving back in with mom and dad at a historic rate. Between 2005 and 2014, the fraction of young adults age 18 to 31 who lived with their parents rose 15%, according to a study by Federal Reserve Board economists. Not only is this rate of change unprecedented, but the percentage of young adults residing with parents has reached a historic high of 36%. Why Are Boomerang Kids Moving Home? So what’s making boomers’ kids “boomerang” back home, and how can those approaching retirement prevent their kids from derailing their retirement? McGarry weighed in, shedding some light on the topic. No Stigma: The stigma that was once attached to moving back home with mom and dad has seemingly disappeared. About 78% of young adults ages 25 to 34 who have been in that situation say they’re satisfied with their living arrangements, while 77% are upbeat about their future finances, according to a 2012 Pew Research Center survey. Everyone else is doing it: Among adults in this age group, 61% say they have friends or family members who have moved back in with their parents over the past few years because of economic conditions. Additionally, 29% of parents with adult children report that a child of theirs has moved back in with them in the past few years because of the economy. Debt: The Federal Reserve Board economists, however, suggest a high level of indebtedness — as measured by average loan balances, declining credit scores and delinquency on accounts. This debt by 20 and 30 somethings increases the need to move back home. More specifically, nearly 40% of young adults carried student loans in 2010, up from 26% in 2001, and aggregate student loan balances have exploded in recent years, exceeding $1 trillion in 2013, the economists note in their 2014 report. Whatever the cause, adult children are boomeranging back home, causing financial strain on their parents’ retirement planning and saving. More than half of adult-supporting boomers in the Hearts & Wallets survey say “saving enough for retirement” is their top concern, while 38% report moderate-to-high financial anxiety. They also happen to report the lowest levels of financial advice-seeking, with just 24% reporting having ever talked to a financial professional about their future, the survey shows. Parents of these kids are 25% more likely to have heightened financial anxiety than their peers, according to the Hearts & Wallets’ survey, likely caused by financially supporting themselves and their children, while simultaneously trying to build up their retirement nest egg. “You’ve got folks that are moving back home and also parents who are financially supporting them early in their career; that’s maybe $1,000 or $10,000 a year that they could have put away for their retirement but they didn’t because they’re supporting their kids,” McGarry says. But, he adds, there are ways for boomers to prevent boomerang kids from ruining their retirement. 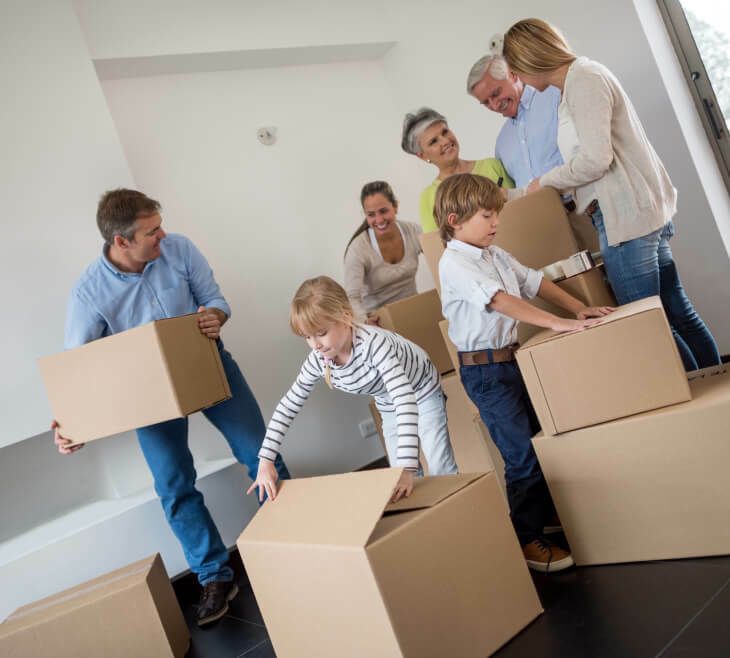 Education and communication are key in making sure your retirement plans don’t get derailed if your kids end up moving back home, McGarry says. It is very important for anyone to know what they need for a secure retirement. A retirement planning calculator can help you identify how much you need, when you can retire and how well you are budgeting now and for your future. Very often people don’t want to know their own financial facts, but it really is the first step to having peace of mind. The NewRetirement Retirement Calculator makes it easy to get started with fast answers about your financial health. Maybe you really can afford to support your adult children. Maybe you can not. As you know, it is very hard to make ends meet when you are only providing for your own self and your own retirement. Add trying to provide for other adults and it is a recipe for financial disaster. The earlier you start having these conversations with your kids, the better. “If parents are continuing to focus on the importance of retirement savings and understanding asset allocation, that continued philosophy as you raise your child into an adult can impact them to hopefully start saving at a younger age,” he says, noting that doing so could prevent the situation from occurring in the first place. In some cases, parents whose children have moved back home can make the situation more financially viable while, in turn, providing a valuable lesson in managing finances. According to the Pew Research Center survey, the sharing of family finances has benefited many parents: 48% of boomerang children reported that they have paid rent to their parents and 89% said they have helped with household expenses. As discussed above, debt, job search woes, expensive housing and it is a nice place to live are common reasons children move home. It might be useful for you to identify the reason your child is home and help him or her with that specific concern. If debt is the issue, tackle the debt by working with an organization like CreditKarma or, here are some tips for negotiating with creditors. If finding affordable housing is problematic, suggest that they get room mates or even relocate to a less expensive locale. Are they having trouble finding a job? Maybe they should work with a career counselor. So, what happens if you don’t save for retirement or if you spend it all now? Think clearly about the future. Sit down and discuss this future with your children. Not saving (or spending your retirement savings) now will have a profound impact on both you and your children. Are your children going to be able to take care of you in the future the way you are taking care of them now? Do they want that responsibility as you age? Do you want to give up your own autonomy and be beholden to them? Walk through a retirement calculator with your children for a clear picture of your — and their — financial future.